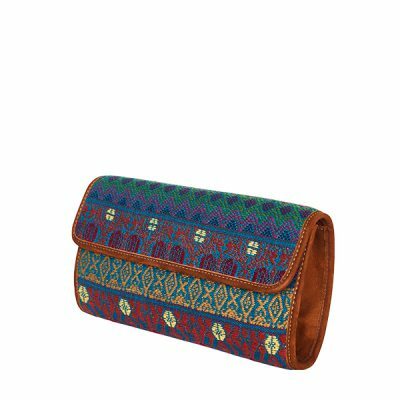 Our gypsy style backpack is made of up-cycled fabrics (Huipiles) combined with super soft nubuk leather. 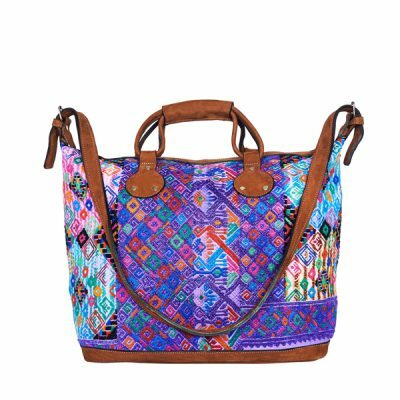 Huipil is the traditional blouse of the Mayan women; through up-cycling this traditional Mayan clothing finds a new use in our gypsy style backpack with purple aztec design. The lovingly handcrafted production makes every backpack unique! 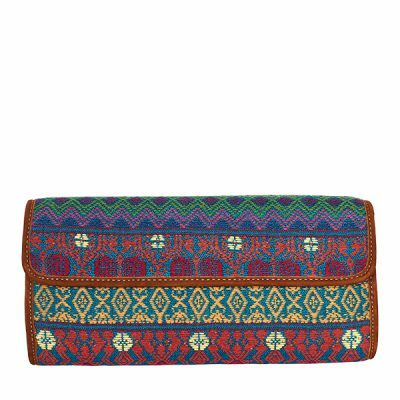 This gypsy style backpack is your perfect companion for city trips, beach, travel, festivals or simply for everyday life! 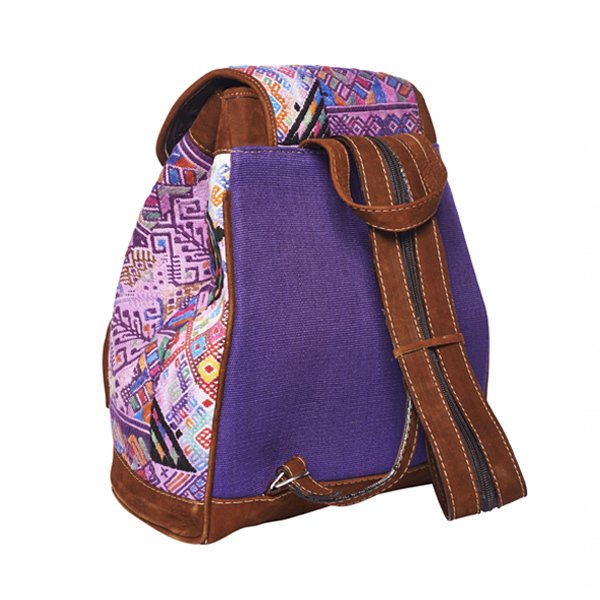 Our stylish gypsy style backpack with purple aztec design is made of handwoven Mayan Indian fabrics combined with high quality and super soft leather. 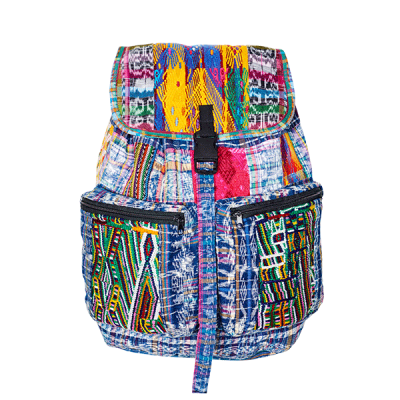 For the production of our gypsy style backpack, we use up-cycled fabrics (Huipiles). 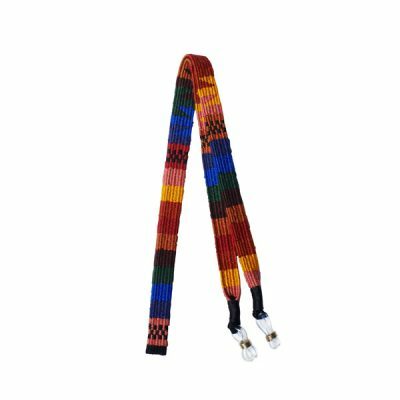 Huipil is the traditional blouse of the Mayan women. 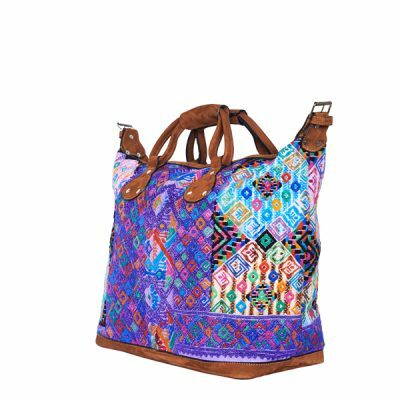 Because we love using what’s already been created instead of wasting resources, this traditional Mayan clothing finds a new use in our gypsy style backpack with purple aztec design. 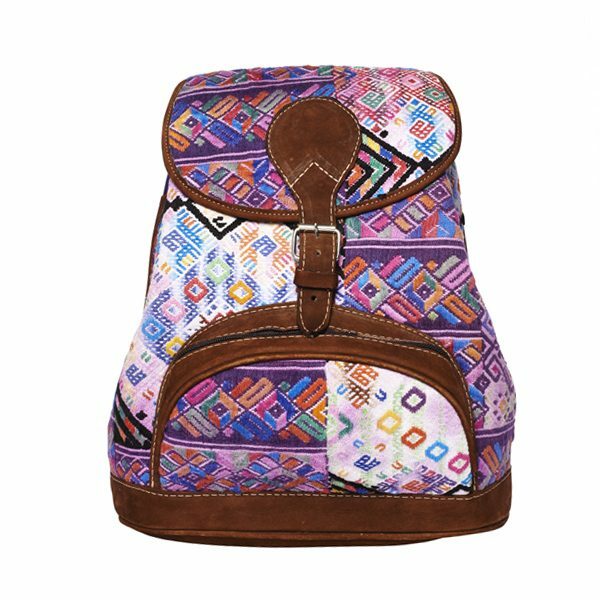 This lovely backpack with purple aztec design fits perfectly as a companion for city trips, excursions to the beach, travel, for your festival look or simply for everyday life – comfortable, everything is ready to hand and still the hands are free.